Blueberry is the fastest growing crop in many states including North Carolina, Georgia and Florida. Market demand for blueberry is high and profit potential for growing locally grown blueberry is considerable. One major issue for blueberry growers is the planting of the new blueberry cultivars (varieties) that are becoming available with superior fruit size, taste, color and disease tolerance. 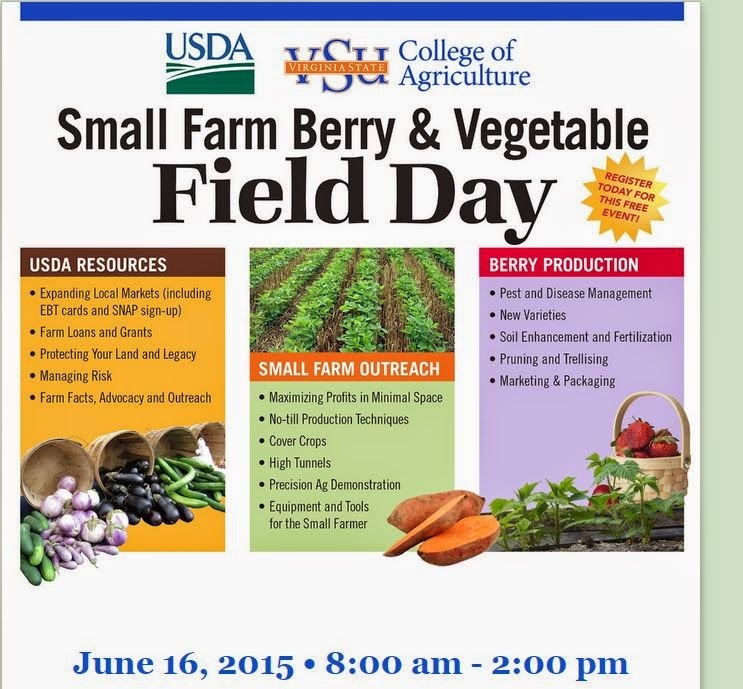 New and experienced blueberry growers will learn about new and better cultivars for planting. At Virginia State University’s Randolph Farm a collection of 45 different blueberry cultivars (15-20 plants/cultivars) have set fruit. All are different in terms of cluster density, productivity, plant structure, bush size, vigor, etc. This is an opportunity to see these cultivars and decide which one may be suitable for your future blueberry production.